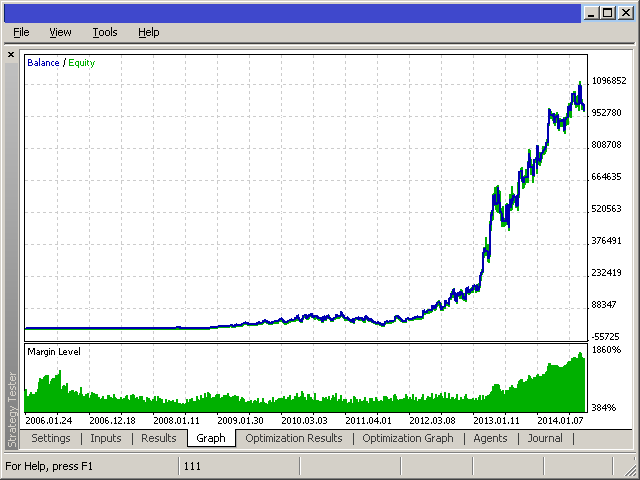 This is a professional robot based on the Parabolic SAR indicator set. 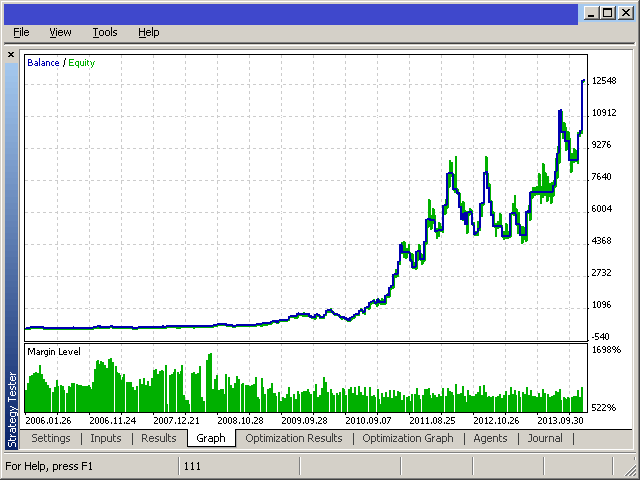 The Expert Advisor is designed for the analysis of trending markets. On the "bull market" the indicator is below the prices, on the "bearish market" it is above the price. If the price crosses the Parabolic SAR lines, the indicator reverses, and its further values ​​are located on the other side of the price. The EA correctly processes errors and works reliably in the market. It can work with the initial deposit of $100! It is important to choose the direction of the EA operation: both sides, only buy or only sell. The signal can also be inverted. The product uses the basic concepts, breakeven, trailing, stop loss and take profit, as well as closing at the opposite signal. An important function is the correct calculation of risk. 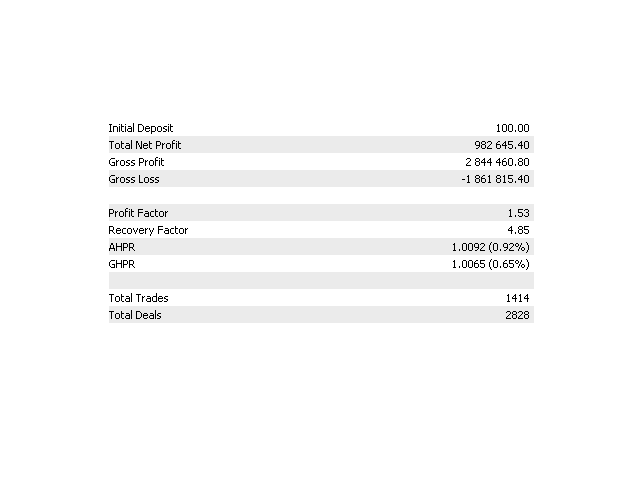 In this case Risk works as follows: 1 means risking 1% of deposit. OnOptimizationSharp is used for optimization in the "Custom max" method for an additional accounting of Sharp ratio. PeriodWork – the period, on which the EA operates. Risk – risk to enter the market set as a percentage of loss of the total deposit. The lot is defined relative to the stop loss and allowable losses when reaching it. Withdraw - virtual money withdrawal in the tester as a percentage of the initial deposit. TrailingStop – trailing level, 0 – disabled; trailing in points, active trailing on the period. PeriodTrailingStep – trailing on the period. WorkOpenLong – allow opening a long position. WorkOpenShort – allow opening a short position. WorkCloseLong – allow closing a long position. 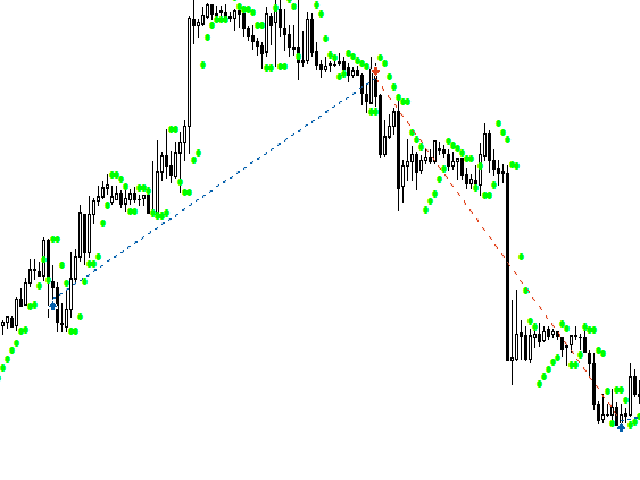 WorkCloseShort – allow closing a short position. 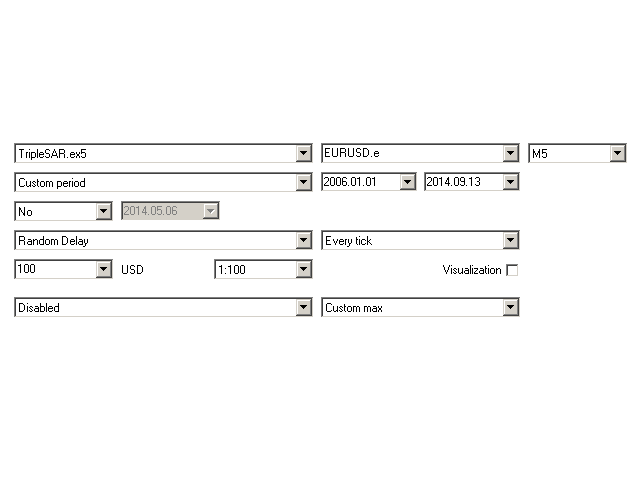 Added support for accounts such as hedging.